Like many of the well-educated and wealthy families in China, Luana’s father left China for Hong Kong to escape from the communist oppression. Although it was not easy to find work in Hong Kong he was able to seek employment because of being highly qualified. He and his wife later went to California but decided to send their children to study in Europe. Luana went to boarding school in England and, after qualifying as a teacher, came to Hull to teach. She met her husband who is from Hull and together they brought their children up in Hull. Because of being bi-lingual, Luana has been asked to interpret with agencies or to translate letters even when she was a student. She gradually got more involved with the Chinese community. At around 1962, there were not as many Chinese people in Hull. From 1962-1990, most of the Chinese people coming over here were form Hong Kong. They speak Hakka and Toisan and their common dialect is Cantonese. When some Chinese members first came over, they worked for others first and saved sufficiently to set up a restaurant or Takeaway themselves. The sponsors would tell them everything before they come here. Why Hull? Often people had relatives or friends here and Hull was an important port. In 1992 there were approximately 2,000 Chinese people in Hull, not including students. Most of the Chinese people work long unsociable hours in catering. They never went to pubs, only Chinese places. The majority did not smoke or drink. Years ago, when they first started working in restaurants they would work long hours over seven days and nights. The first generation looked after the third generations(children). Now, conditions are a bit better. They get one day off a week. Often the hours were so long that the parents slept for a couple of hours and then it was time to take the children to school. The women round the table with us were all good cooks. They are older now and there is no way they would work in the restaurants now. It was only two decades ago that the catering business said, they had to have a day off. Then people started getting time together. That is why it is often said to Luana “Why doesn’t your community speak English?”. It is because they work hard and over long hours with no time off to do other things e.g. learn English. The women, especially, can only sustain doing their jobs, looking after the children and doing everything themselves. All the women round the table had to learn to drive so they could take their children to school. When they first arrived their friends/family gave them some help, but they soon had to be more independent.. Some of the second generation were not born here. The third generation were born here and the children are better educated, but find it just as hard to get jobs in Hull. Their children live all over the world now, including Hong Kong! 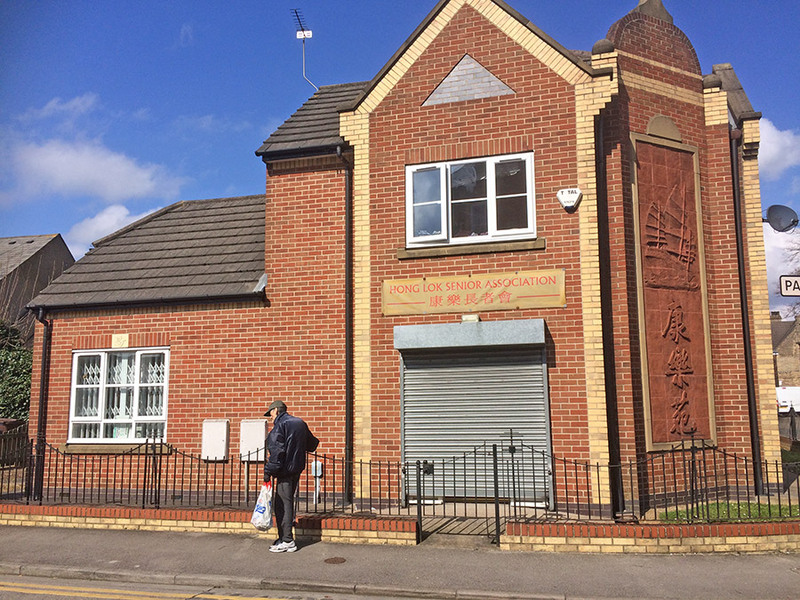 In 1985, The Hull Chinese Cultural Centre was formed to combat a number of barriers, including language, social and cultural barriers. The Chinese Community had always wanted somewhere of their own to meet up. Luana attended numerous Ethnic Communities Forum meetings at The Guildhall regarding the Centre. This attending the meetings, was done after she had been at work and looking after her children. From the meeting, the two groups gained respect for each other and formed a successful partnership for a number of years. In 1993, the contract for the community centre was signed but there was a great deal to do especially as there had been a fire on the third floor. There were still arguments with the Council to change a number of the clauses which would allow the Chinese community to keep the building if it is still viable after seven years, instead of being reclaimed by the Council. Now, there are several activities in the Centre e.g. dancing. 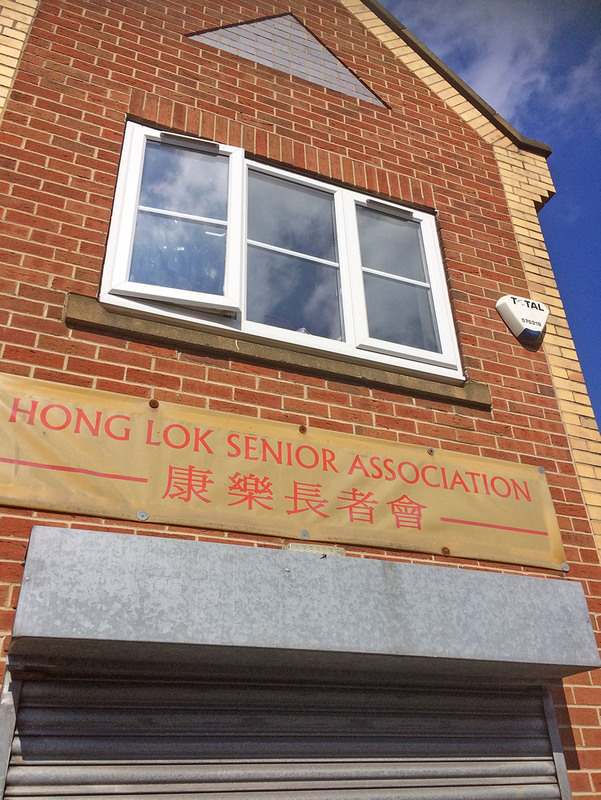 This building also links with the Hon Lok Senior Association which was another of Luana’s babies! There was a need for a housing project for the Chinese so Luana worked with Housemartin Housing Association, who did research and analysed that there was a need. So, funding was applied for, originally for the Elderly Chinese. A small community centre was also built on Park Lane with the housing. It was decided to be central (Park Lane, off Beverley Road) with ten houses, ten bungalows and the small centre. The houses are shared ownership. People could pay a quarter of the home and pay rent on ¾. They could eventually buy their home. The bungalows are rented to the elderly. Sanctuary Housing Association then took over from Housemartin. Luana and Ras Goldbourne from the Afro-Caribbean Association became good friends. At meetings, (e.g. City Council) Ras was very outspoken and he would also say “Listen to my sister” (Luana). Ras worked hard. He and the Chinese community worked together and supported each other. “ We were, therefore, quite successful in changing policies and attitudes”.